The month of November has flown by...how can Thanksgiving already be next week?! The TU living family has been busy renovating and moving into a new home, overseeing the construction of a second new home, and preparing for a doctoral dissertation. With of all that activity Thanksgiving has snuck up on us, especially me! Polka dot burlap for my Thanksgiving silverware holders. The 'giving thanks wreath' to be assembled with our guests on Thanksgiving day! I’m very excited to celebrate Thanksgiving with family, and I have a craft project that I plan to complete before the 23rd. It‘s from one of my favorite blogs, On Sutton Place. On a recent post Ann shared a tutorial for creating no sew individual silverware holders. 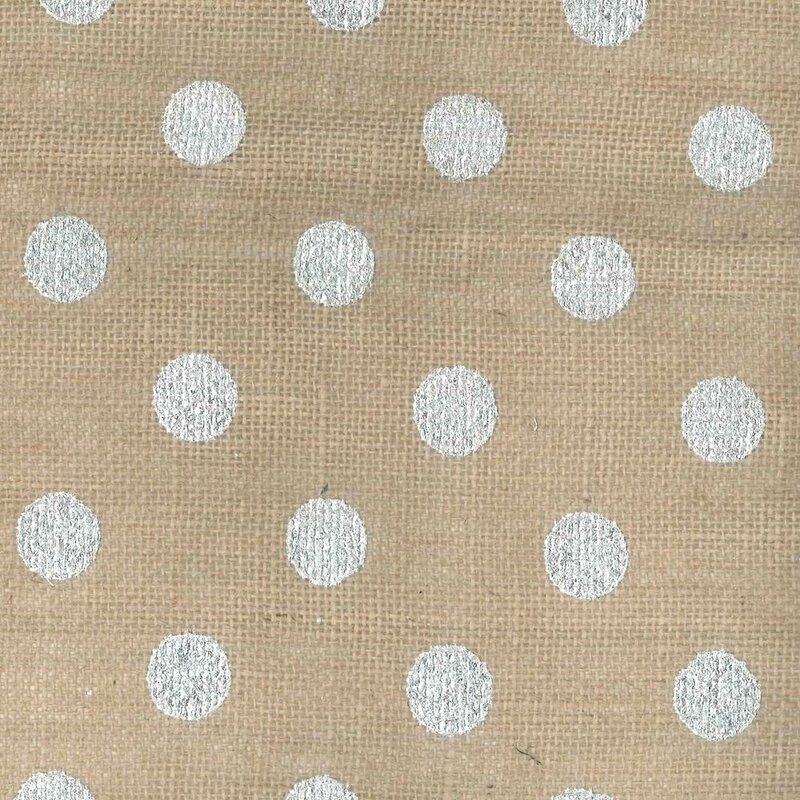 The beautiful polka dot burlap just won over my heart! I’ll be sure to share a photo of the finished silverware holders on our Thanksgiving table with all of you! If you’re looking for more Thanksgiving decor, check out last year's blog ‘Going a little nuts’ for a festive and easy wreath that’s absolutely perfect for Thanksgiving. I had a lot of fun creating this wreath and will be hanging it at the lake for our Thanksgiving day celebration! Be sure to look for photos of our ‘giving thanks wreath’ on TU living’s social media pages on Thanksgiving day as well. I would love to see what you have created for your Thanksgiving celebrations! Everything from new recipes to DIY projects, they are all amazing! Tag TU living on Facebook (@TUliving.Kathy) or Twitter and Instagram (@TU_living). I hope you all enjoy your Thanksgiving day, especially a delicious meal!